A deal to reduce the Renewable Energy Target 20% appears to have been struck by the Federal government and opposition, with cross-bench Senators. The reduction from 41000 gigawatt-hours in 2020, to only 33000GWh, will unfortunately include wood-waste burners as eligible for renewable energy certificates – a handout to the nation’s unsustainable forestry industries, not a serious renewable energy strategy. It seems that Greens and Labor opposition to this provision may not be enough to stop the deal going through. Yes2Renewables will still be happy if the deal done between the Federal government, opposition, and cross-benches sees more wind and solar built, and those industries able to step out of the limbo they have been placed in by several years’ worth of increasing policy uncertainty. But we can’t celebrate what is tipped as a $6 billion cut to renewables investment, overall. As we have pointed out, the only beneficiaries of a reduced or stalled renewable energy target are the owners of big fossil fuel power stations, who will have reduced competition. We hope this step backward can be turned around to move forward again. “Latrobe Valley – making clouds” from Flickr. The owners of these are the only winners from a reduced renewables target. We have been cheered by the Victorian government announcement last week that they would pursue a state renewable energy target. While Federal rules would need to be changed for Victoria to introduce a scheme similar to the Federal one, the ACT has been leading the way with their own target which is separate from the Federal target, and will see 200 megawatts of wind turbines built to supply clean energy to match ACT demand. We will continue to push for the Victorian government to adopt policy such as the ACT has. The slashing of the Federal target is a serious blow to action on climate change, and damaging to the renewable energy industry which Australians almost unanimously want to see grow. It’s up to anyone at local, state or federal level who can to take action to rectify the situation. Friends of the Earth release. May 18, 2015: Another blockage removed from RET negotiations. But biomass still a deal breaker. The year long standoff between the Coalition and the renewable energy sector is finally over, with common sense prevailing, and the Coalition withdrawing its demand for regular reviews of the target. 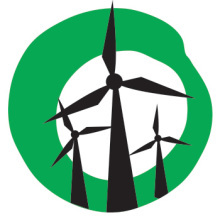 “It is tragic that so many jobs and so much investment has been been lost while the Coalition continued to put its ideological opposition to renewables ahead of sound economic policy” said Friends of the Earth campaigns co-ordinator Cam Walker. “But a deal is a deal, and we welcome the fact that Ian Macfarlane and other Coalition negotiators finally compromised on their position”. “However, while the concerns of the renewables sector have been considered, the Coalition’s resistance to taking biomass out of the deal has created a whole new range of problems. Including biomass in the RET will undermine the uptake of true renewables like wind and solar, and further entrench destructive forestry operations. The Greens and ALP have made it clear they will oppose the addition of biomass in the new target, and only a handful of crossbench Senators seem willing to back the continued destruction of our precious native forests”. “We hope that the Coalition will listen to common sense and remove biomass from the target by the time the amended legislation gets to parliament”. “While everyone is glad to see the end of the uncertainty, we should remember that it was the intransigence of the federal Coalition which caused this mess in the first place. Cutting the RET to 33,000GWh is still a major backwards step for our country. The renewables industry has been brought to the brink of collapse because of the extreme opinions of key players in the Coalition government, and this reduced target will mean fewer jobs and less investment in regional Australia, and less action on climate change than the original target”. Further comment. Cam Walker 0419 338 047.